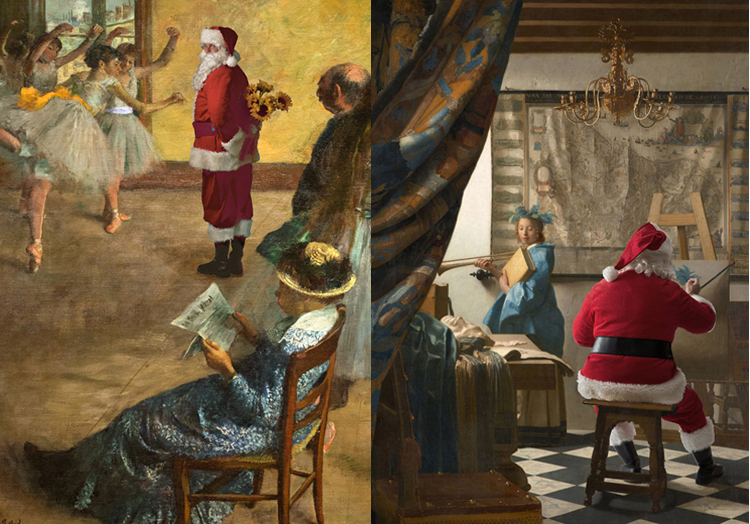 It’s Beginning to Look a Lot Like…Art? I had the day off yesterday, so I went to the museum. As you do. It’s usually closed on Mondays but was open specially for the holiday, I’m sure to attract tourists in town for the long weekend. I’ll write more about it tomorrow, but I did want to share these hilarious Christmas cards I saw in the museum gift shop on the way out (because, as my father always said, “Every good cultural experience must end in a retail experience.”) Photographer Ed Wheeler inserted good ole Santa Claus into famous works of art, and the result is simultaneously fantastic and bizarre. Look at him go! 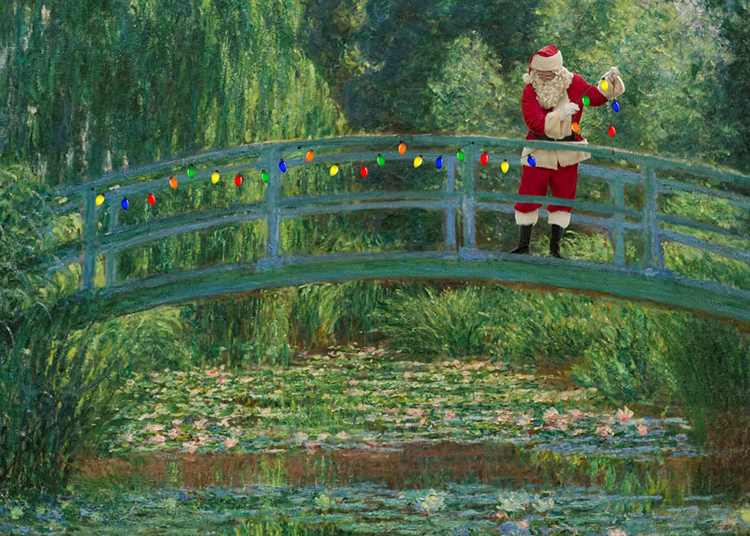 Hanging Christmas lights on Monet’s bridge, overseeing a Degas dance class, practicing his can-can in at the Moulin Rouge. They are $12.95 for a pack of ten, and I’m sorry to ruin the surprise, but these are the holiday cards I’m sending out this year. How could I not? My favorite HAS to be the light-hanging Santa. How perfect is that. 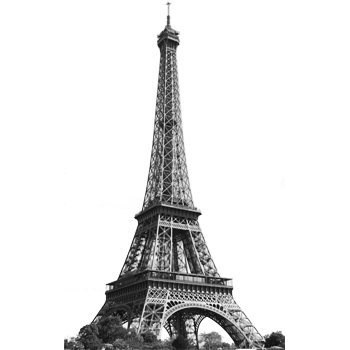 And what an awesomesauce photo that would be to sneak in and take? 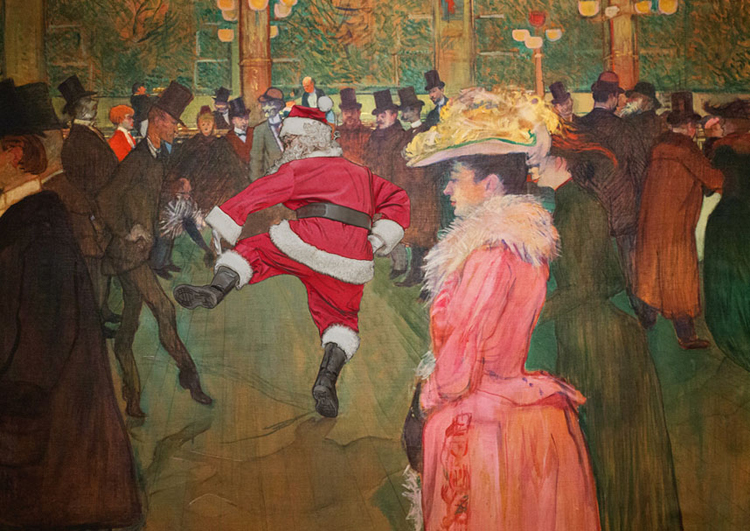 Hahaha I love Santa gettin’ down in the second painting – hilarious! These are great and actually made me smile and I really needed that. Thanks for posting. Hahaha! 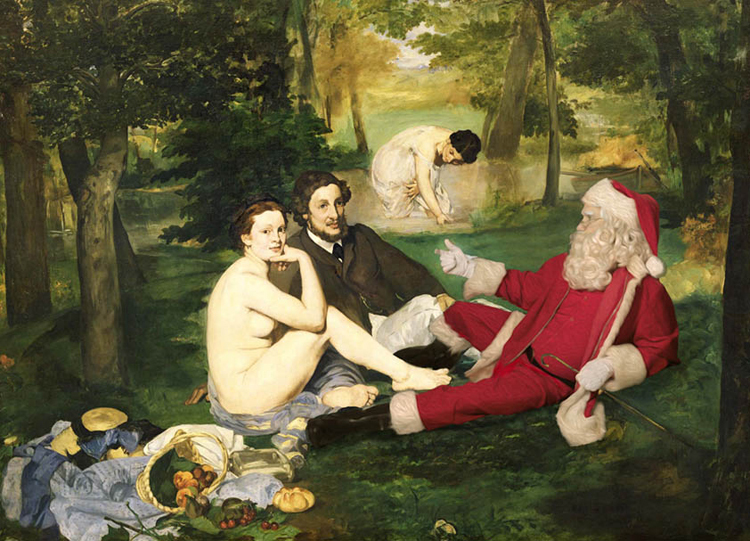 love these – naught santa photo bombing all this art! – i am totally with your dad, sometimes i go to museums and galleries just to go to the shop…shhh! I seriously did a double take at first. 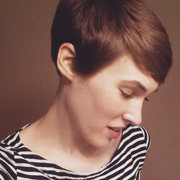 These are totally rad. And yes they are the perfect Christmas card!